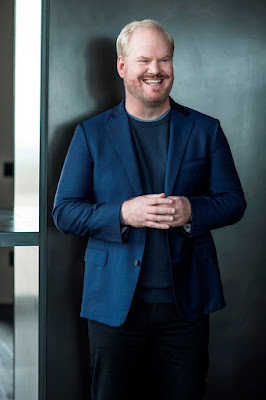 Jim Gaffigan is the Grammy-nominated comedian, New York Times best-selling author, top touring performer, and multi-platinum-selling father of five. Now Jim Gaffigan is bringing his all-new comedy act to The Chicago Theatre on Friday, October 13 at 7:00pm. Tickets for the show go on sale Friday, March 3 at 10:00 am and will be available for purchase at The Chicago Theatre box office, any Ticketmaster outlet, Ticketmaster.com or by phone at 800-745-3000.
nd season and premieres this summer. The series, lauded by The Los Angeles Times as "Fun and Funny," and People Magazine as "One of Summer TV's bright spots," was developed by Peter Tolan along with Gaffigan and his wife, Jeannie, who both also serve as executive producers and showrunners. The single-camera comedy co-stars Ashley Williams, Michael Ian Black, and Adam Goldberg and revolves around one man's struggle to balance fatherhood, stand-up comedy and an insatiable appetite. With multiple projects in motion, Gaffigan is currently traveling the world on behalf of his stand-up tour and headlined Madison Square Garden for the first time in December, becoming one of only ten comics in history to sell out The Garden. Last fall, Gaffigan had the honor of performing in front of Pope Francis and over 1 million festival attendees at the Festival of Families in Philadelphia. In 2013, Jim's first book, Dad Is Fat, was released by Crown Publishing and debuted at #5 on The New York Times Bestseller's List and remained on the list for 17 weeks. His second book, Food: A Love Story, was released in the fall of 2014 and debuted at #3 on The New York Times Bestseller's List. In addition to his own television show, widely popular stand-up comedy and best-selling books, Jim has guest starred on many television comedies and dramas, ranging from "Portlandia" to HBO's cult hits "Flight of the Concords" and "Bored to Death" to dramatic roles in all three versions of "Law & Order." On the silver screen, his credits include Three Kings, Hot Pursuit, Super Troopers, and 17 Again amongst many others. Taking a dramatic turn, Gaffigan costarred Peter Saragaard and Winona Ryder in Magnolia Picture's 2015 drama, Experimenter, and will next be seen opposite Naomi Watts, Liev Schreiber, Ron Perlman and Elisabeth Moss in the independent film, The Bleeder.